Brass Monkey is a three-storey hotel and restaurant premises with a part basement, constructed of brick and stucco with an iron roof, designed in the Federation Filigree style. After the Fremantle-Guildford railway was completed in 1881, there was a shift in focus from the port on the Swan River to the areas in the vicinity of the Perth Railway Station and rail facilities, with continued development throughout the 1880s. In the 1890s, following the discovery of gold, the population of Western Australia tripled in less than six years. The influx of population and the buoyancy of the economy resulted in a building boom. Much of the building activity in the City of Perth centred on the areas in proximity to the Perth Railway Station, with ‘intensive redevelopment along the north-south axis between William and Barrack Streets. The portion of Perth Town Lot Y37, at the corner of Hutt (now William) and James Streets, was strategically located at the northern entrance to the city and in close proximity to Perth Railway Station. In 1896, the owner of the Lot was Mrs. Davies, widow, and the vacant ground had an annual value of £25. In that year, she commissioned Michael Cavanagh to design a three storey hotel for the site. The selection of the strategic site at the intersection of James and William Streets for the three storey hotel reflected a common practice in the Victorian and Federation periods. 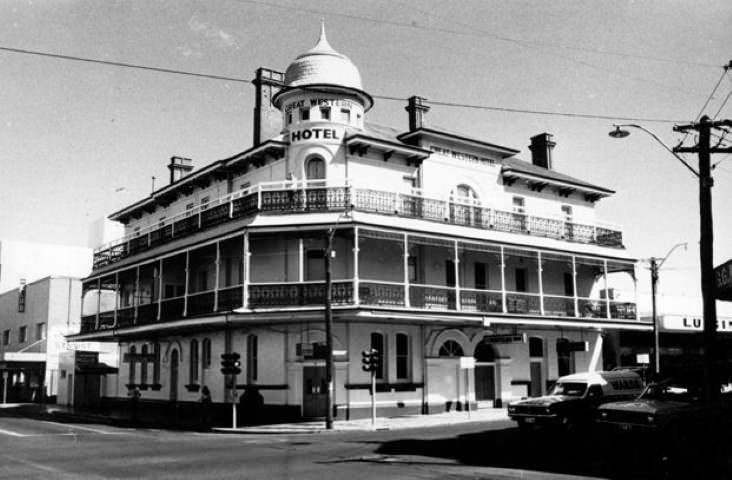 A number of other hotels constructed in Perth in the late nineteenth and early twentieth centuries were similarly located, including the Palace Hotel, the Royal Hotel and the Melbourne Hotel. The Great Western Hotel (Brass Monkey) was built for Mrs. Davis in 1896, and the first publican at the place was Myer Rosenweig. Designed by Michael Cavanagh, Architect, the three storey brick, stucco and iron roof hotel, comprised public rooms at ground level, with a small cellar beneath, and with accommodation for guests and for the publican and staff on the two upper levels. 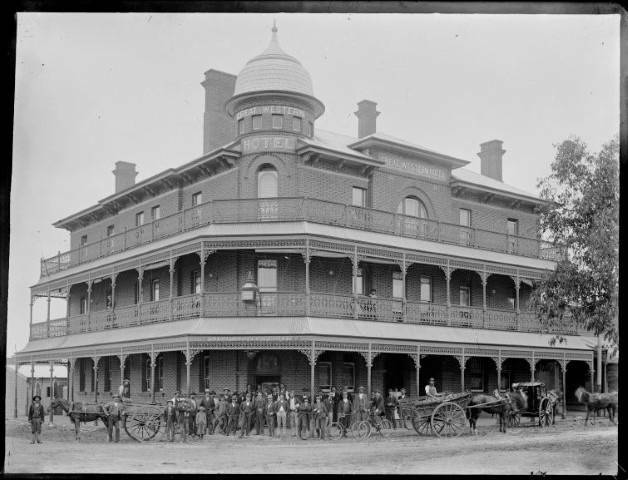 It was one of the most lavish hotels constructed in Perth in the Gold Boom period. A photograph taken soon after its completion in 1896, shows the fine cast iron filigree work of the balconies at the first and second storeys, the verandahs on the south and east sides at ground level, and the quality brickwork of the exterior. The name ‘Great Western Hotel’ appears on the fascia above the corner entrance, on the tower below the dome, and on the north facade at the second floor. 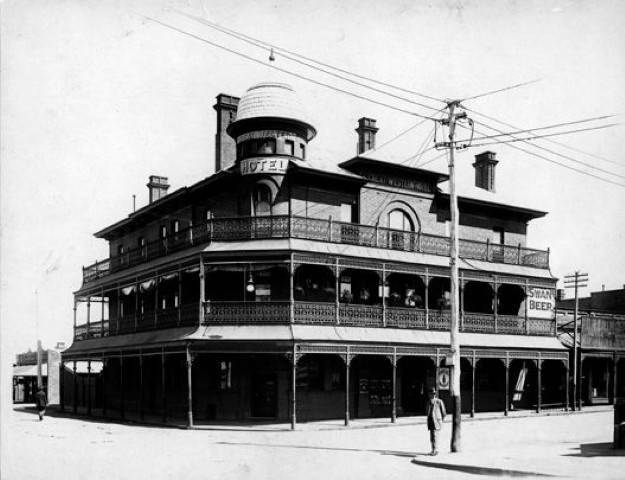 It is notably similar in design to the three storey Barrier Hotel in Port Pirie, South Australia, which Cavanagh had designed in 1892.